I was out this afternoon in the Adelaide Hill. Temp was around the 36c mark and I got to thinking about how I could improve my set up for hot weather. Specific area's I was thinking about are camera covers or something to stop my camera getting so hot. It was hot to the touch and probably close to the point of shut down due to sensor heat. Gloves, Anyone know of hot weather type gloves? I'm quite well protected other than my hands which get roasted. Suntan lotion would mean I have slippery/oily hands which is not ideal. I think I have pretty much everything else covered. Hi AJS - I don't have searing temps to deal with (as much) here in Tas, but I lived in the Pilbara (W.A.) for a while so had a couple of tricks I used there in my point & shoot camera days, which I still use out of habit now with my DSLR. 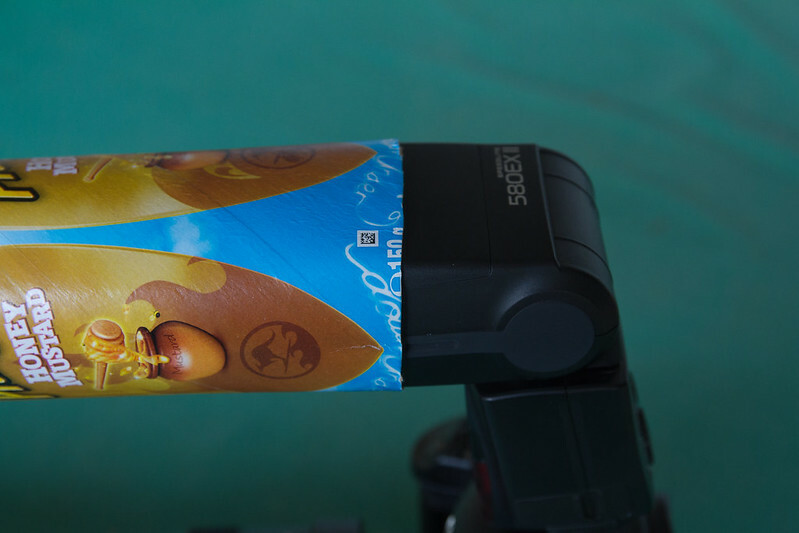 I have neoprene covers on all my lenses, that doesn't keep the camera body temp down of course, but keeps the lens cooler at least - some may disagree, but they do feel/keep a lot cooler imho. I also use an insulated rain cover - which is also great for rainy days (naturally ) and great to keep sand out on a windy day at the beach. I swear by my rain cover. Seems to keep my camera & lens a lot cooler, and warmer, depending on the day. I've used it in hot weather, rain, sleet, snow and mini sand storms & love it. Perhaps you can also just put suntan lotion on the back of your hands and leave your palms/fingers dry (or Bana Boat have a great spray on sunblock which I find is not greasy at all). Or if you already have a rain cover, rest your shooting hand in under it to keep your hands a little cooler too. The big killer imo on a hot day too, is not just the heat, but condensation getting into your gear - not just from climate humidity, but from the sweat on your fingers. I use my cover again to get around this and have my hand inside of it, but with a little piece sort of folded under my trigger finger, so the material is between my finger and the shutter button to absorb any body moisture. Hope that makes sense? Other tips I've read are the obvious ones I guess, short shooting sessions, long cool down breaks and instead of having a camera bag, take a soft cooler/esky type bag to insulate and keep your camera cool when you're not using it. I've even read of some professionals putting their gear inside a large strong waterproof ziplock bag, then inside a cooler that has a small bag of ice in it. I don't know if I'd be game to do that personally, but others have obviously tried it with proven success - or they have better insurance on their gear than me . Oh, and if you ever buy something that has those little moisture absorbing gel packs in the packaging (I've seen them in new shoe boxes mainly), keep those, they're great to throw in your camera bag permanently to absorb a little condensation from your gear - nothing to do with heat, but just thought I'd add it. Sorry for the long-winded answer . Suntan lotion sweats off quite quickly and since I use the strap wrapped around my wrist and hand to sort of dangle the camera while gripping it to carry makes the strap pretty oily. Will look for lens covers as suggested. I may also try to find some materiel and get some sown up. I use a Maxpedition back pack. Takes 3ltrs plus attachments for more and all the equipment and food for a day out. Of course I end up with a 10kg backpack but I don't have to worry about water or food. Will look for mesh gloves. Was out this morning,42c,so very hot. Flash was shutting down due heat, so was looking for a way to keep it working,at least for a while. Found that changing the batterys made a difference, the batterys in at point of shutdown were very hot. Flip down diffuser was also trapping heat and at one stage just flipping it up activated the flash again. I know 42c is extreme but maybe these tips will help on cooler days with flash shutting from continuous use. I assume that there was some sunshine with the 42*? Why were you using the flash? I never use a flash for bird photography, should it be too dark, I simply change the exposure compensation in the camera. Always works for me. I would say, I also know very little about birds , but I'm trying very hard to learn something new every day. Camera is a d300 with a 300mm f4 lens. The d300 sensor is only good to about iso320 without noise problems becoming apparent so with most shots being in tree shadow this becomes a problem with shutter speed. Shooting is in a steep sided gorge, lots of shadows. My usual camera is a d600 which has better sensor for higher isos but it is in getting the oil on the sensor problem fixed. Hi Rick,I use both D300 and sb900 quite a bit I don't find the D300 noisy out to iso1600 under most conditions but I only use the real iso settings 200 400 800 1600 above 1600 its next to usless, But put a flash on it and things change completely I only use iso 400 at 200 the images can look washed out and at higher iso look like they were shot through a strainer no matter what the camera settings. The sb900 is a great flash probably nikons best but it has a "very annoying" safety feature that shuts it down at a much lower stress level than alot of other flashes ,I now use a cheap Yongnuo flash when birding or in hot weather it just keeps flashing away no matter how hot it gets and at around $100 I wont cry if it go's pop ! Also an added bonus the beamer off my old sb 600 fits straight on ,42c is way to hot for an old bloke like me I'd be looking for somewhere to take a nap! Hi Sparrow, agree that the higher iso results can be very variable. I think that I have the most noticable issues when pushing things a bit plus really wanting the detail and maybe being a bit too picky. 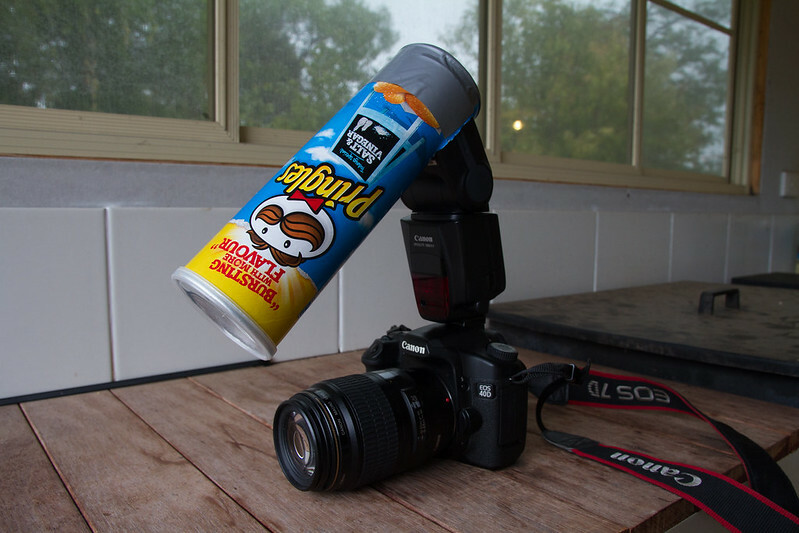 Great idea about the cheap flash, will look into that. A friend has purchased a 7100 recently and the results from that at high isos are amazing. My own personal camera is a D7000 and makes the D300 look very old ,it does eveything better faster and easier and is smaller and lighter the D7100 is said to be even better again but I haven't used one. Sparrow, What model Yongnuo do you use, is it TTL? Save yourself some money and go buy a packet of Pringles. Cut the bottom of the container and place it over your flash. And you can make one for macro as well, leave the bottom and cut a slot in the side for the flash. Coles have them on special at the moment, 2 for $6. 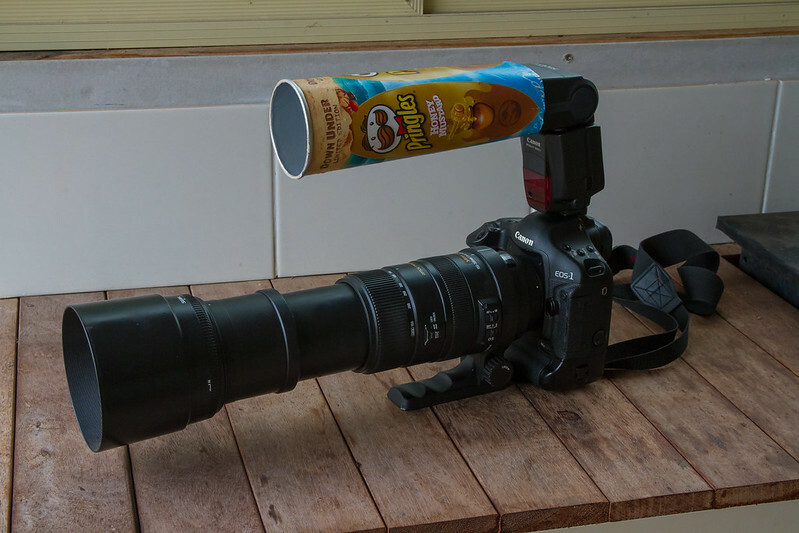 Now thats a cheap beamer and macro diffuser. The better beamer is held on with a velcro strap and is the best $50 I ever spent on eBay ,it was origainally on a sb600 that went to God but it fits the old Yongnuo perfectly ,I have seen a lot of home made jobs some good some not so good when used properly you would be amazed how far you can get usable light . I'll load some photos tomorrow, whoops I mean today, but you might want to look up better beamer , and there is a good home made one on "secrets of digital bird photography"